Gentle Readers, just wanted to update you on the approaching cold front. Tuesday and Wednesday are looking pretty rainy. 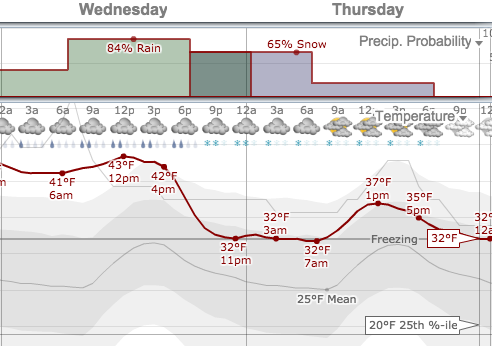 Fortunately, it looks like we might be waking up to a snowy Christmas morning.